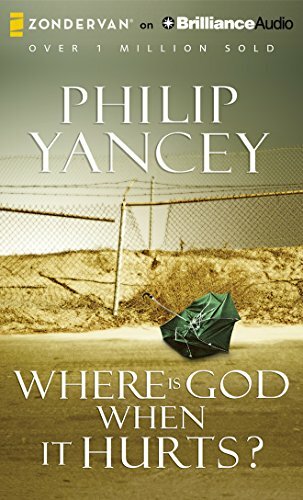 Home Philip Yancey Where Is God When It Hurts? Your pain is realWhen will it go away? Winner of the Gold Medallion Award and an inspirational bestseller for over twenty-five years, "Where Is God When It Hurts?" has been revised and updated by the author to explore the many important issues that have arisen during that time. Sensitive and caring, this unique audiobook discusses pain physical, emotional, and spiritual and helps us understand why we suffer from it and how to cope with our own and that of others. Using examples from the Bible as well as the author s personal experiences, this expanded edition speaks to everyone for whom life sometimes doesn t make sense. Philip Yancey can help us discover how to reach out to someone in pain even when we don t know what to say. He shows us how we can learn to accept without blame, anger, or fear that which we cannot understand. I finished (this audiobook) feeling as if I had [listened to] a classic. It probes aspects of pain that C. S. Lewis never touches. William J. Petersen"
If there is a loving God, then why is it that ... ? You've heard that question, perhaps asked it yourself. No matter how you complete it, at its root lies the issue of pain. Does God order our suffering? Does he decree an abusive childhood, orchestrate a jet crash, steer a tornado through a community? Or did he simply wind up the world's mainspring and now is watching from a distance? In this Gold Medallion Award--winning book, Philip Yancey reveals a God who is neither capricious nor unconcerned. Using examples from the Bible and from his own experiences, Yancey looks at pain---physical, emotional, and spiritual---and helps us understand why we suffer. Where Is God When It Hurts? will speak to those for whom life sometimes just doesn't make sense. And it will help equip anyone who wants to reach out to someone in pain but just doesn't know what to say.